While the office of Dr. Saj Jivraj offers among the most advanced dental treatments available, we also provide routine dental cleaning. The advantage of choosing a location that offers advanced treatments for your usual check-ups and cleanings is the simple fact that they are experts in detection and prevention of dental disease, conditions and imperfections that can lead to severe situations later down the line. That being said, it may not be a bad idea to come see us every six months to make sure your teeth are in a healthy state. For residents of Oxnard, world class dental care is easily accessible from almost anywhere in the local area. The professional staff is completely focused on helping patients maintain and improve their oral health through regular cleanings, examinations and early detection of problems. One of the most effective things a patient can do to maintain their natural teeth is to schedule twice yearly dental cleanings for routine maintenance. In this way many problems can be avoided or minimized, keeping dental costs down by reducing the need for more costly restorations. Dental hygiene is a matter of establishing daily habits of thorough brushing and flossing, but even with the most diligent routine, professional teeth cleaning is needed. A dental hygienist can access areas that are impossible to reach with a toothbrush and floss. Plaque and other materials that build up over time can contribute to gum disease and tooth decay even below the gum line. Regularly seeing your dentist will provide an opportunity for detecting small cavities, potential alignment problems and defects in prior dental work before they become major problems. Anacapa Dental is proud of the caliber of their professional staff providing care for patients of all ages including those with a very busy schedule. Teeth cleaning in Oxnard is fast and convenient Regularly visiting Anacapa Dental for teeth cleaning will have several health benefits, most of which are preventative in nature. Removing the sticky plaque that slowly and stealthily builds up on teeth is a proven way of preserving your teeth and is a vital link to maintaining good health. It is now known through scientific observation that many medical conditions are aggravated by gum disease and the inflammation that is produced by this process. Some of these conditions are heart disease, rheumatoid arthritis, diabetes, dementia and premature birth. While the link between gum disease and these serious medical conditions is not completely understood, bacterial transfer seems to be one of the major issues. The tissues in the mouth absorb whatever is in the mouth at a faster rate than anywhere else. When bacteria build underneath the gum line, as in gingivitis or periodontal disease, these bacteria are transported via the bloodstream to other parts of the body. Maintaining good dental hygiene through regularly scheduled visits to the dentist is an important part of maintaining overall health. For the most fastidious teeth cleaning Oxnard can provide, residents of the area can do no better than scheduling a visit with one of the professionals at Anacapa Dental. Should the need for restorations or other procedures arise, the clinic is fully equipped to provide these services as well as more advanced procedures such as dental implants and veneers. As leaders in the dental reconstruction procedures, we treat the most advanced dental conditions. This even includes porcelain veneers which are designed to transform any defects into your dream smile, within a matter of weeks. Dr. Jivraj is a leader in the field and routinely has patients referred to him from dentists all over the world for complicated procedures. He’s a multi-award-winning, highly educated prosthodontist with over 25 years of experience in dentistry. As a testament to his unrelenting skill, he sits on multiple prestigious dental boards and has been published in esteemed journals countless times as well as have written textbooks in dentistry. Receiving routine check-ups at Anacapa is quite possibly the smartest choice you can make when it comes to your dental health. Call today for a consultation in Oxnard, and end your pain you may be experiencing at the hands of a cavity. 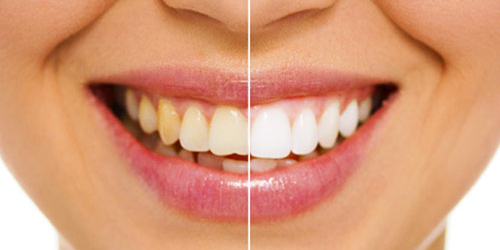 Or if your concerns about mercury or non-tooth colored molars due to a silver filling replacement. 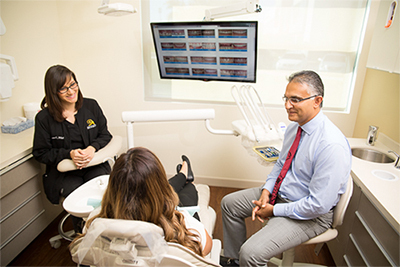 Our compassionate and experienced prosthodontist Dr. Jivraj will discuss these issues with you and help you reach a decision that you feel comfortable with.